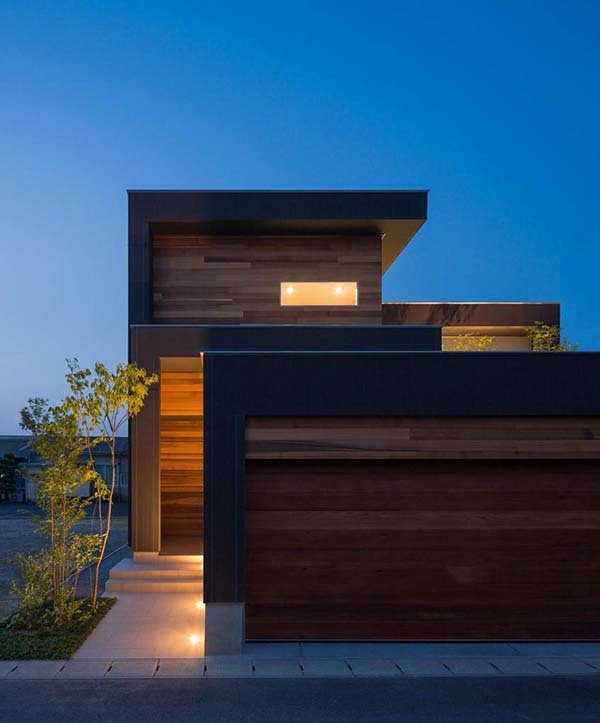 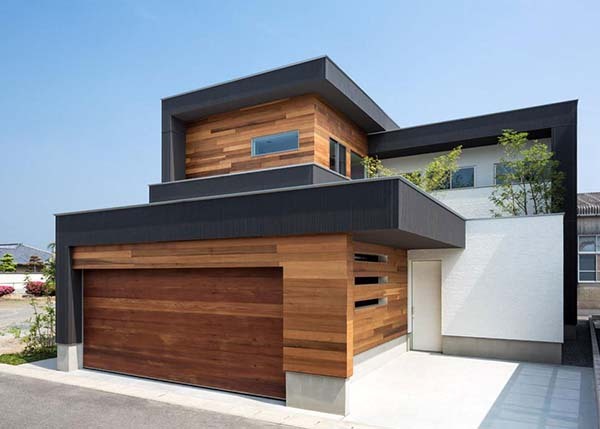 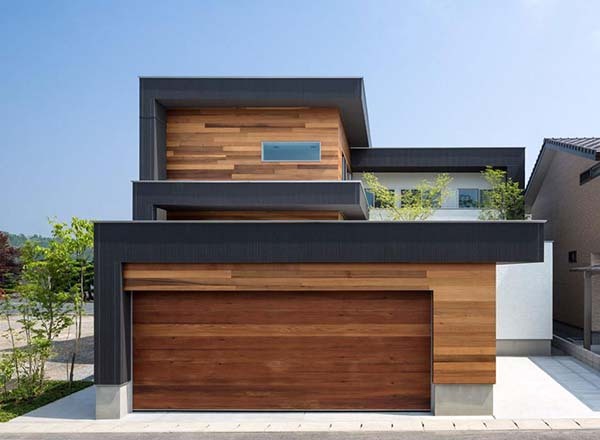 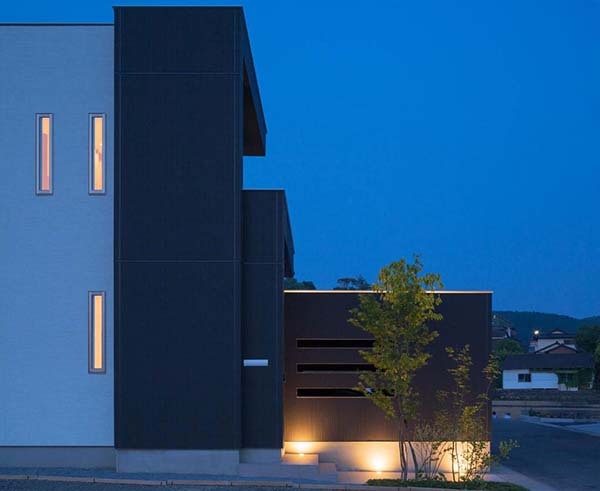 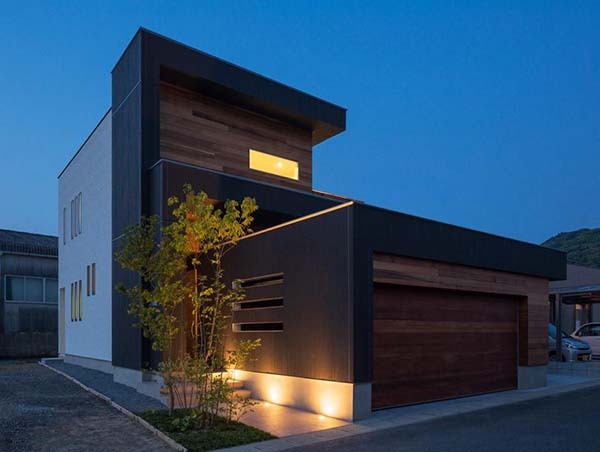 M4-House is a contemporary single family private dwelling completed in 2013 by Architect Show Co, located in Higashisonogi District, Nagasaki Prefecture, Japan. 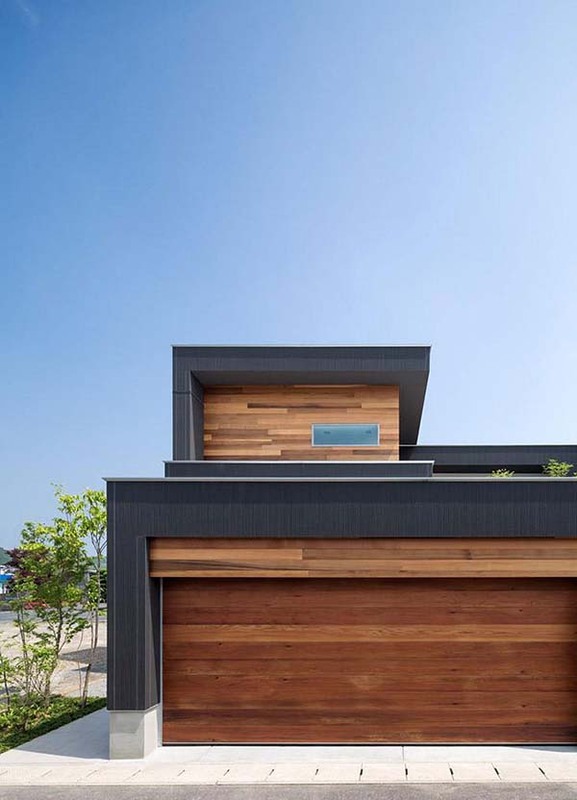 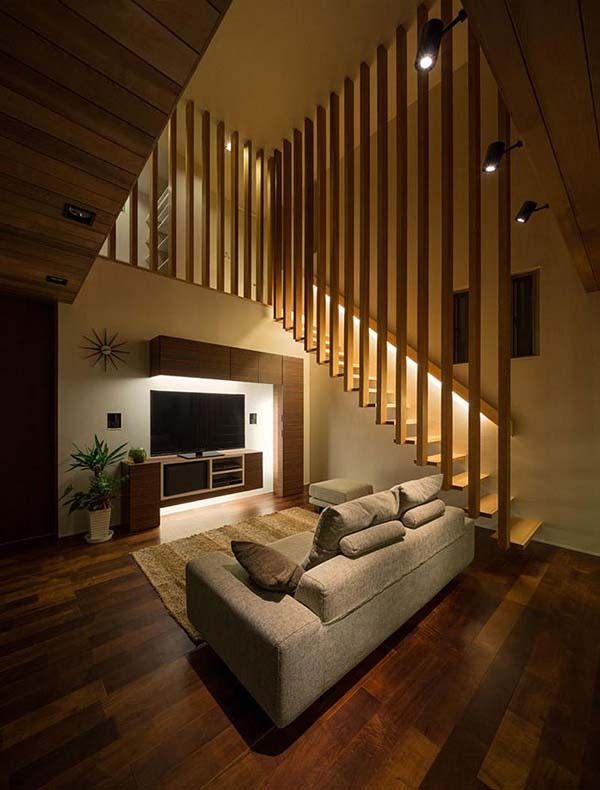 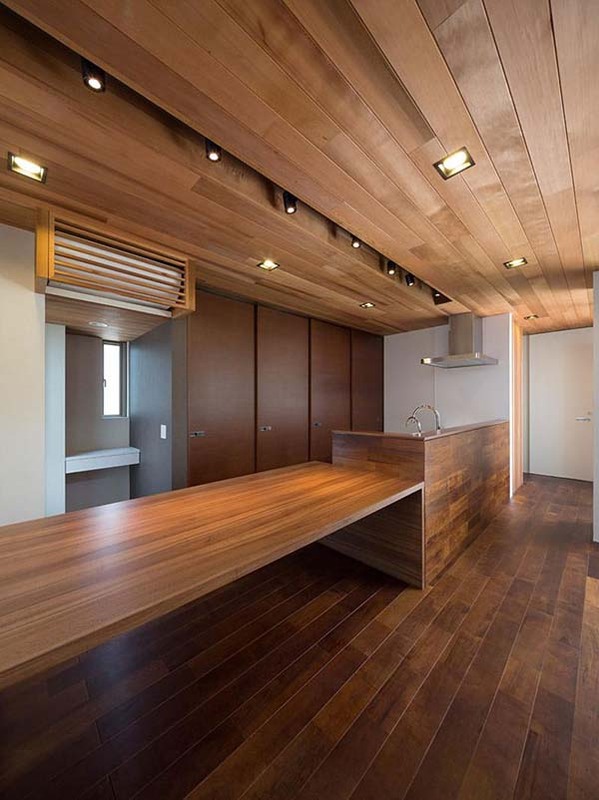 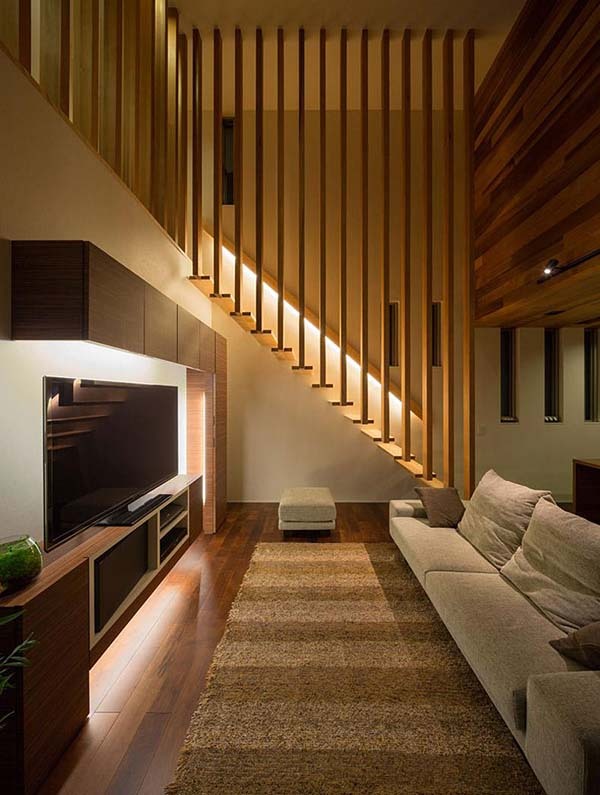 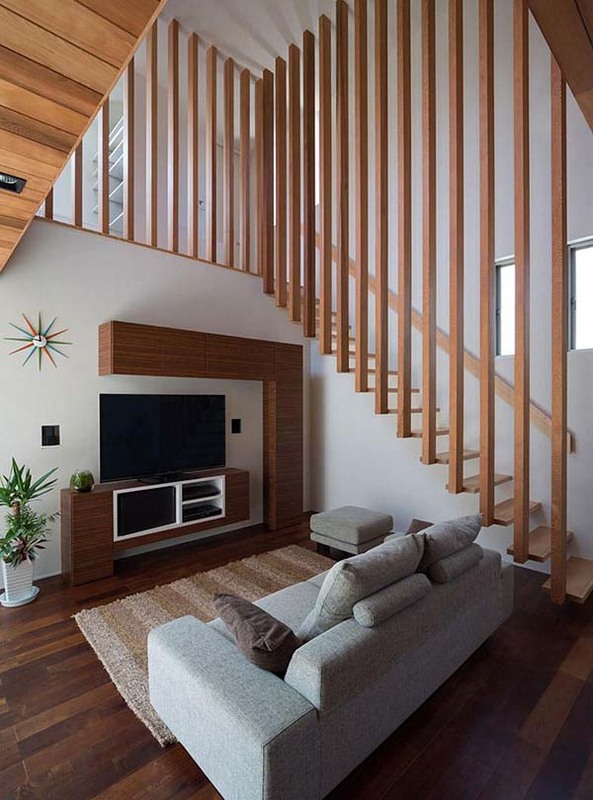 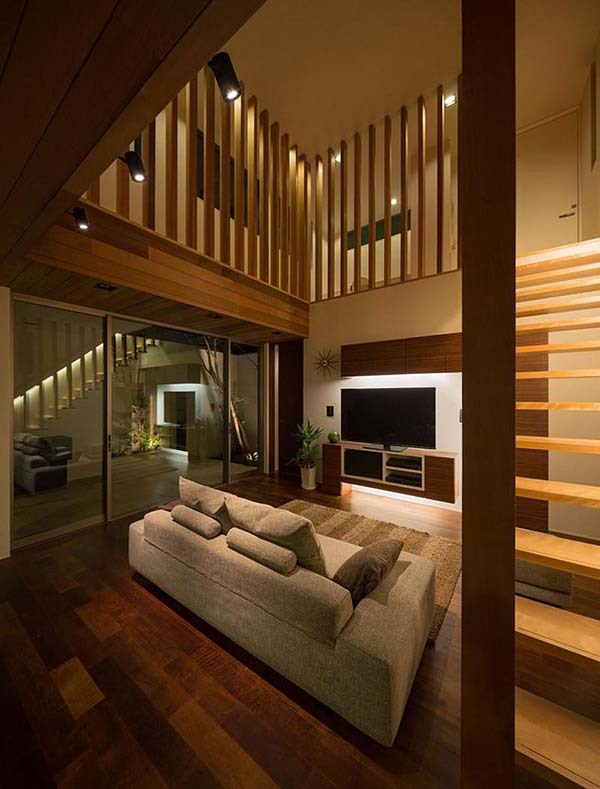 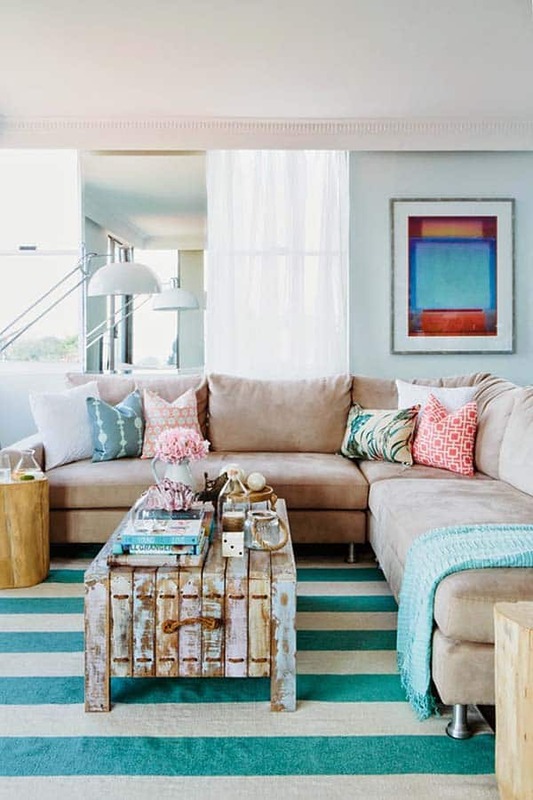 The 1,291 square foot (120 square meters) residence makes extensive use of variously-toned wood to merge together the different spaces of the home. 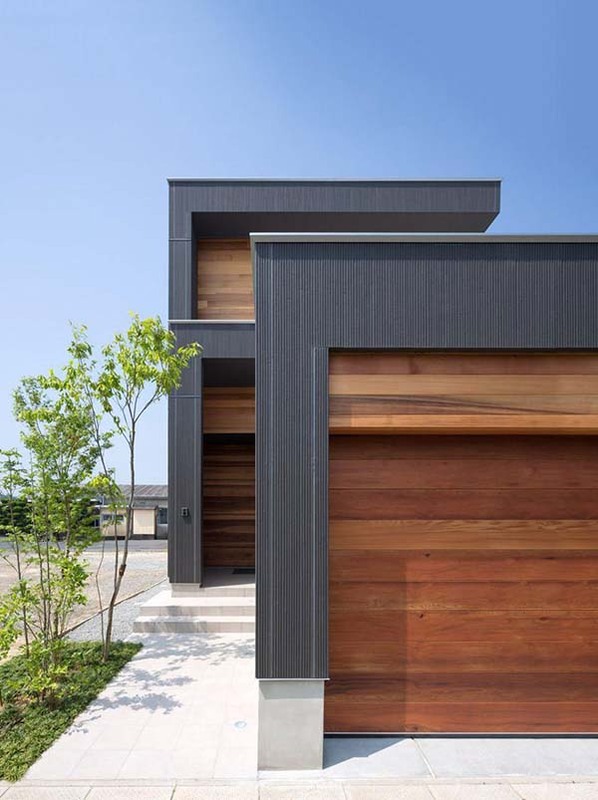 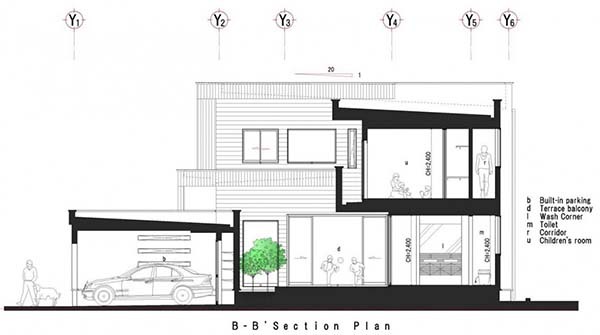 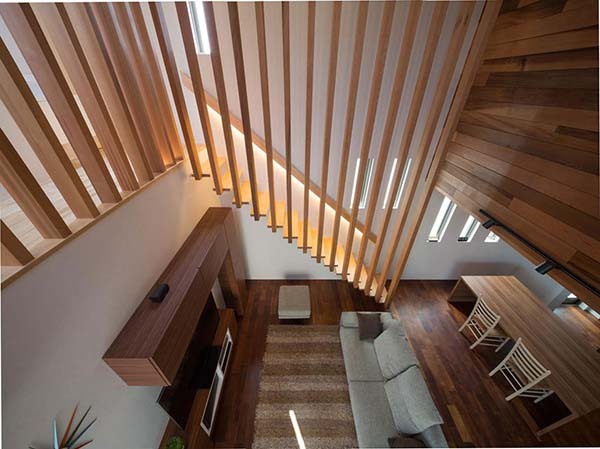 From the architect: M4-house (overlapping house) was built in silent countryside of Higashisonogi in Nagazaki. 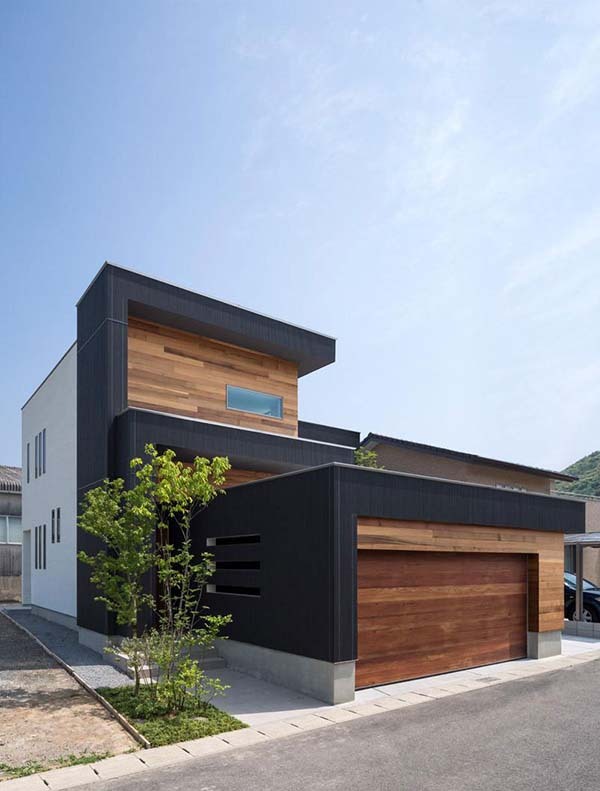 The architects concept of M4-house was: protecting privacy and security; creating a happy and safe space for family; making full use of site. 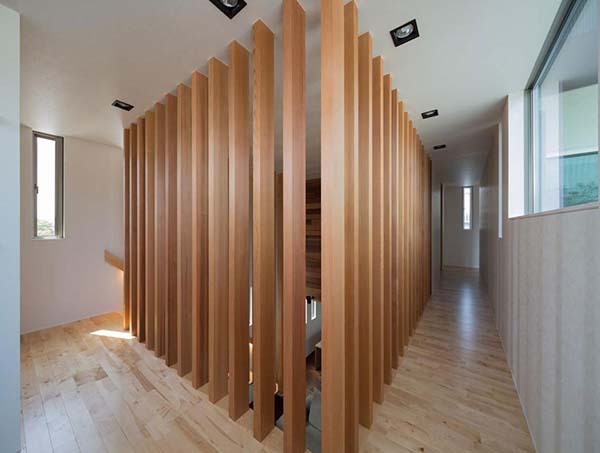 Appearance has four differences in level sense of rhythm by pasting red cedar to black frames. 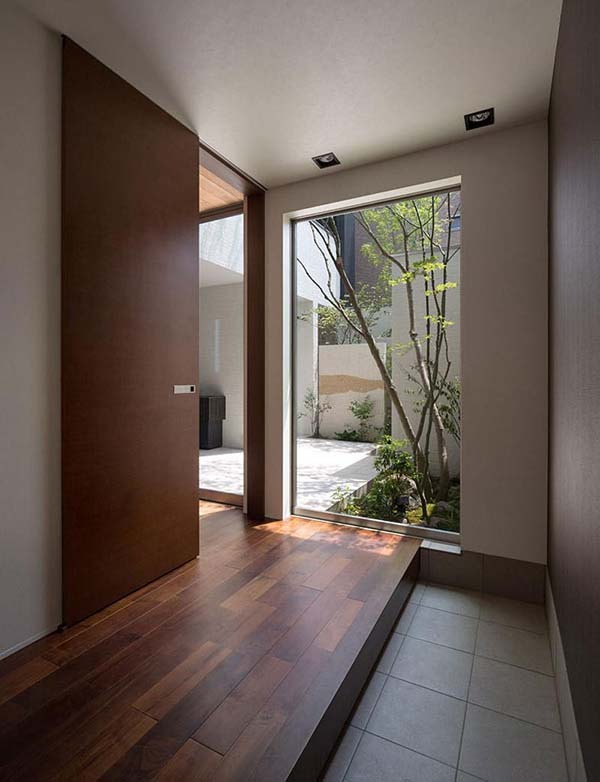 And it makes people feel warm and friendly by harmonizing architecture and surrounding environment. 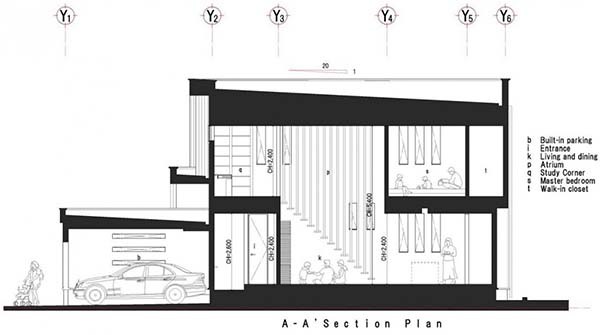 To make full use of site, I make parking space for bicycles and cars as a whole without using conventional fences and carport. 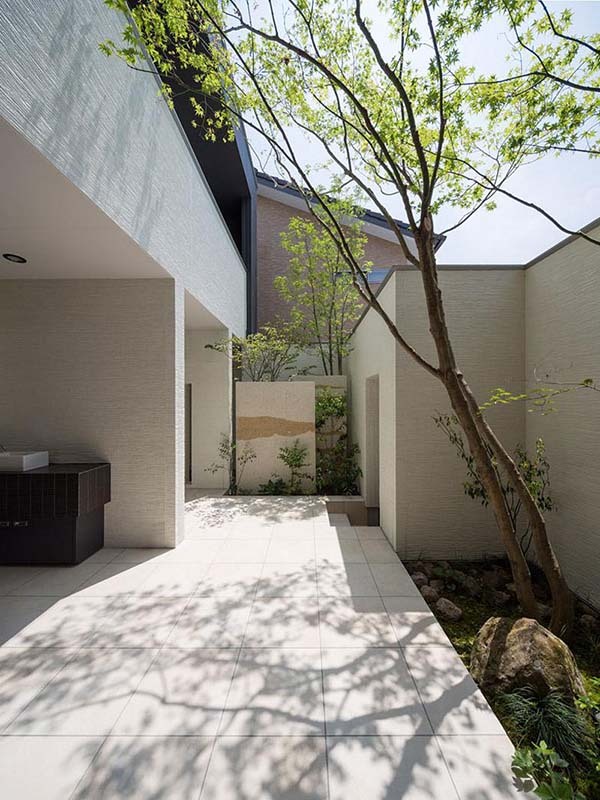 I design a large courtyard to bring sunshine and wind into interior. 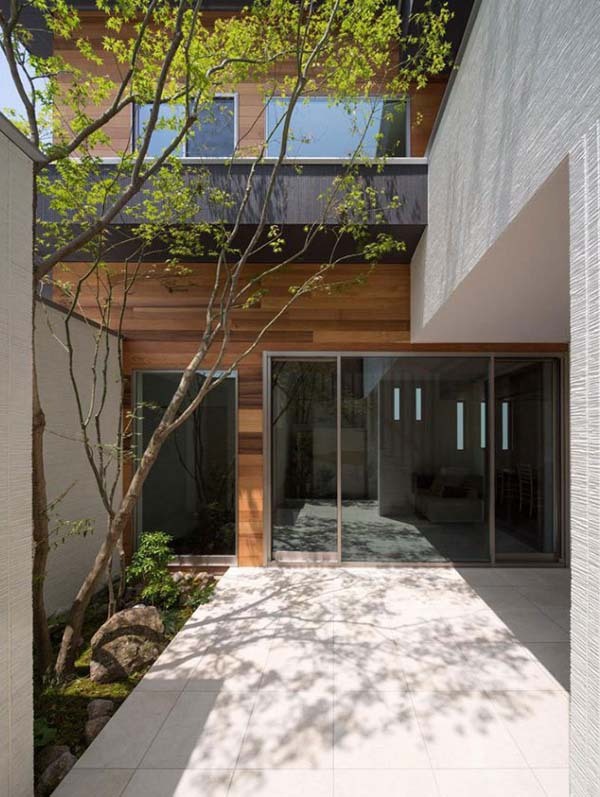 I planted trees in the courtyard to make balcony terrace a whole with courtyard and protect the privacy. 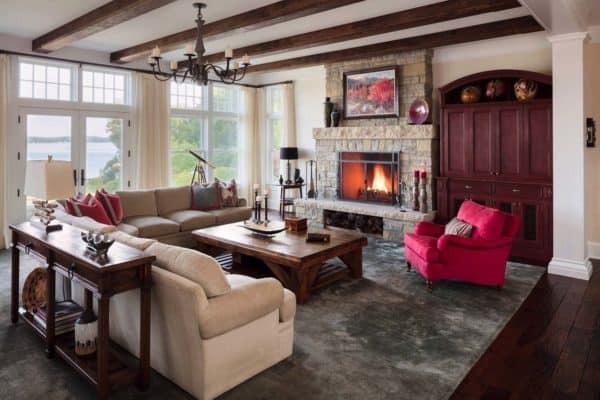 Also the family can feel the changes of season in living & dining room. 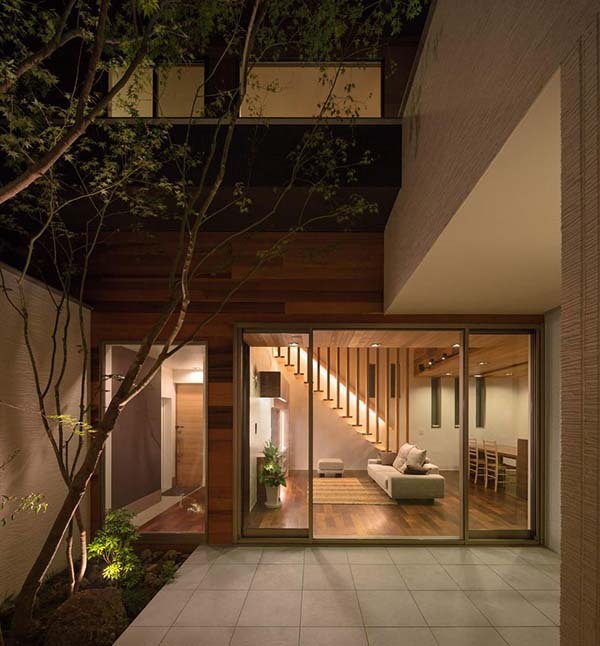 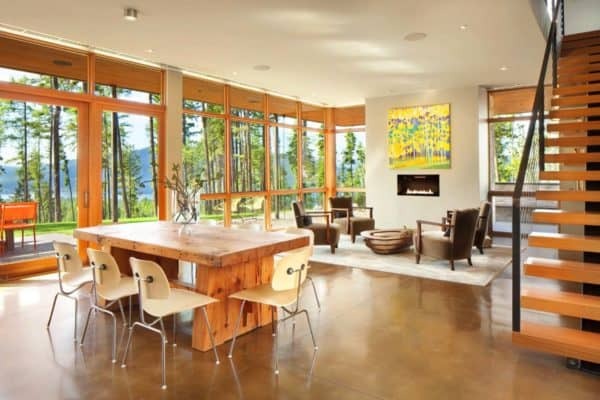 Colonnades of red cedar give a sense of rhythm to living & dining room. 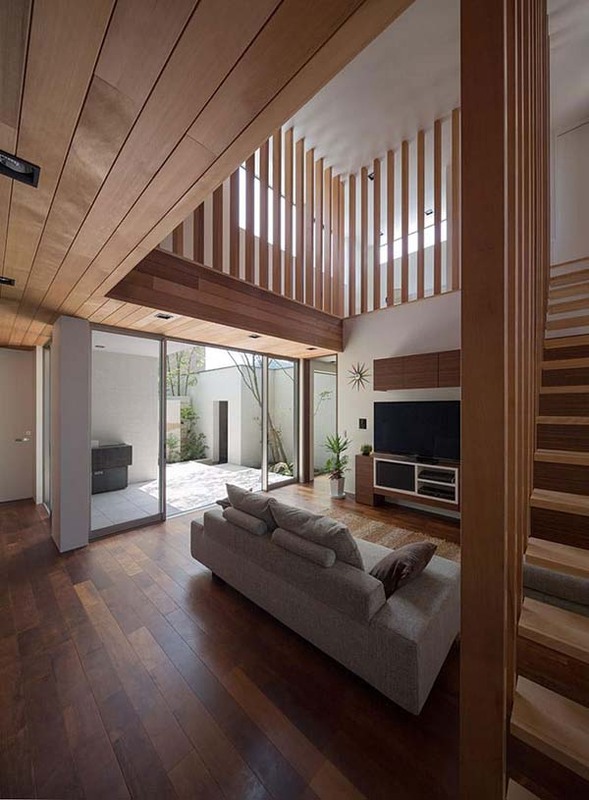 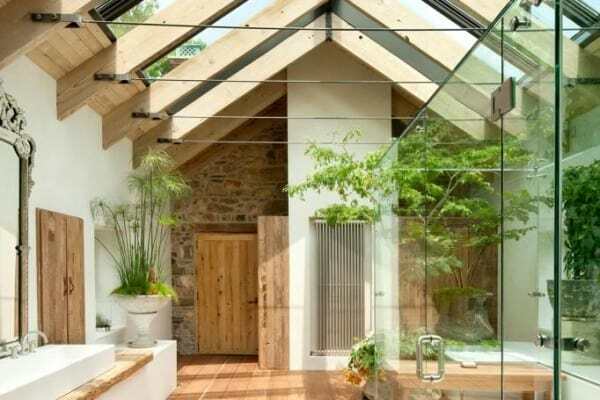 In day time, the sunlight going through leaves from atrium makes living & dining room very friendly and harmony. 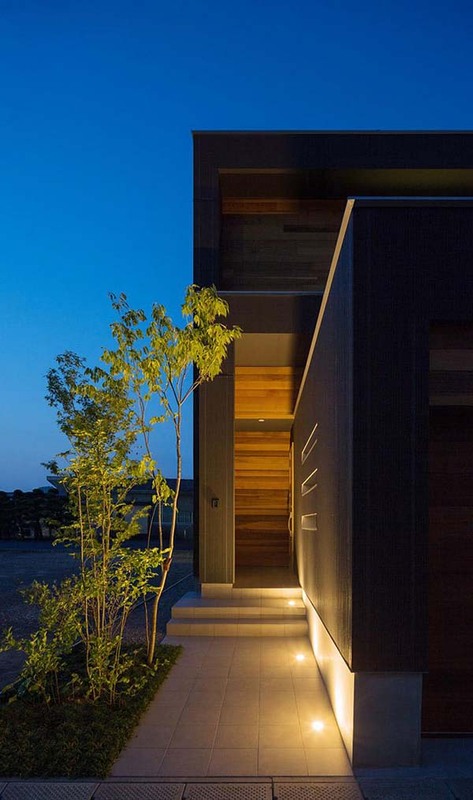 In night, I used indirect light in handrail of stars to make the space beautiful and kindly. 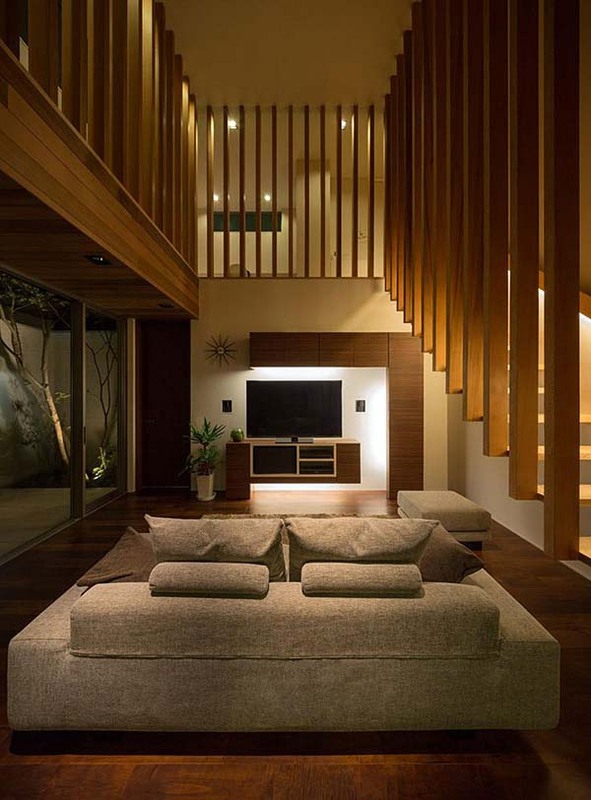 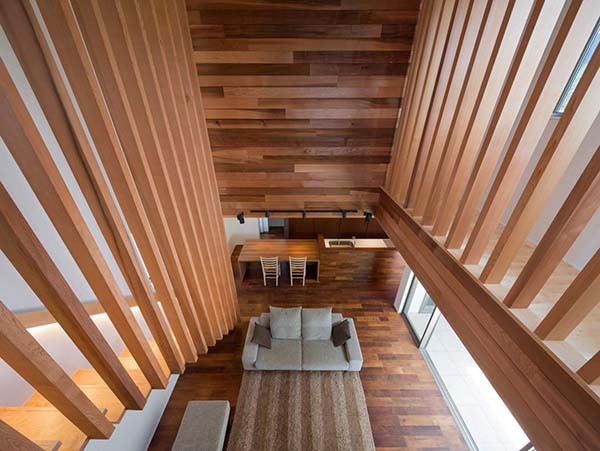 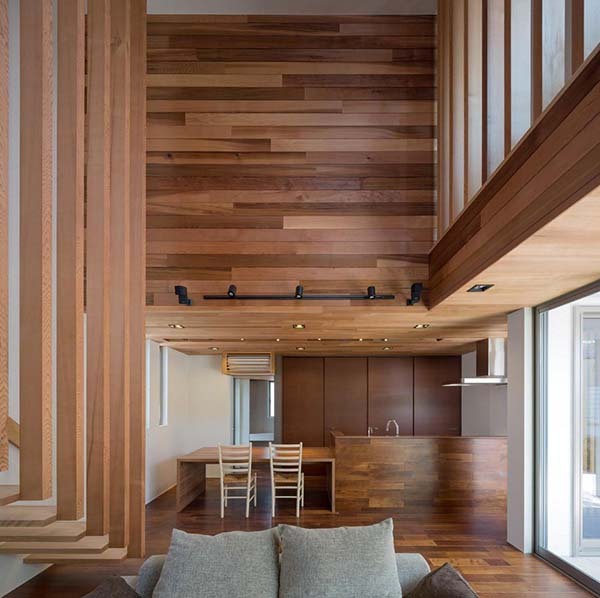 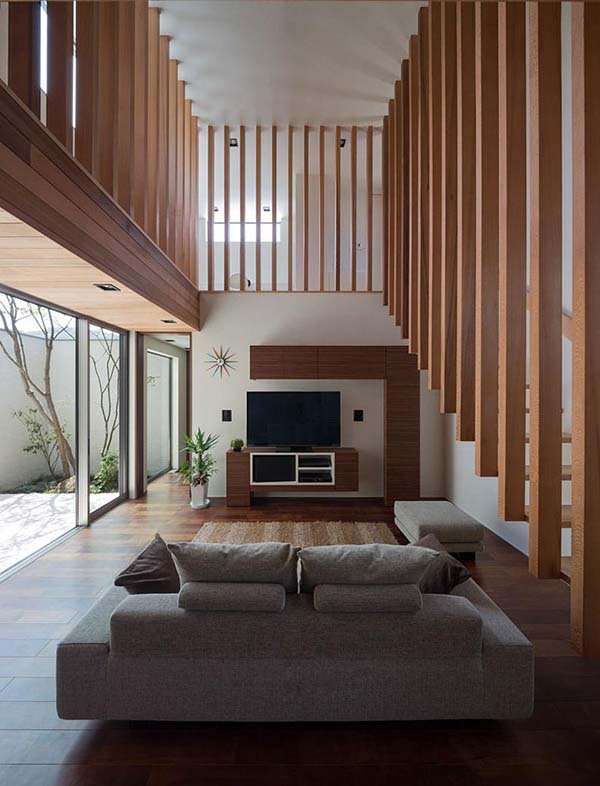 It makes living & dining room and the whole house bigger because the outer wall of ceiling was pasted red cedar. 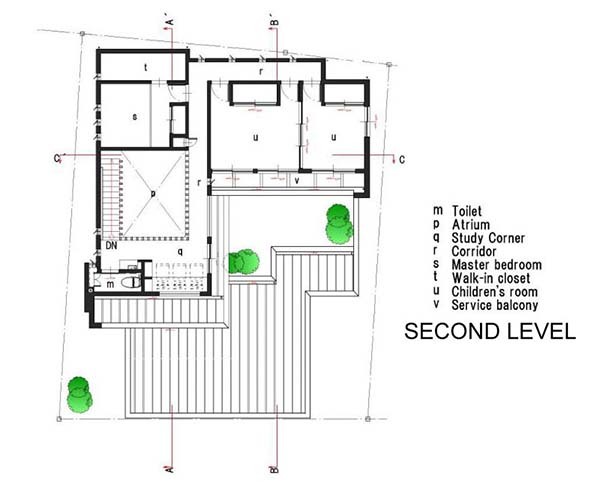 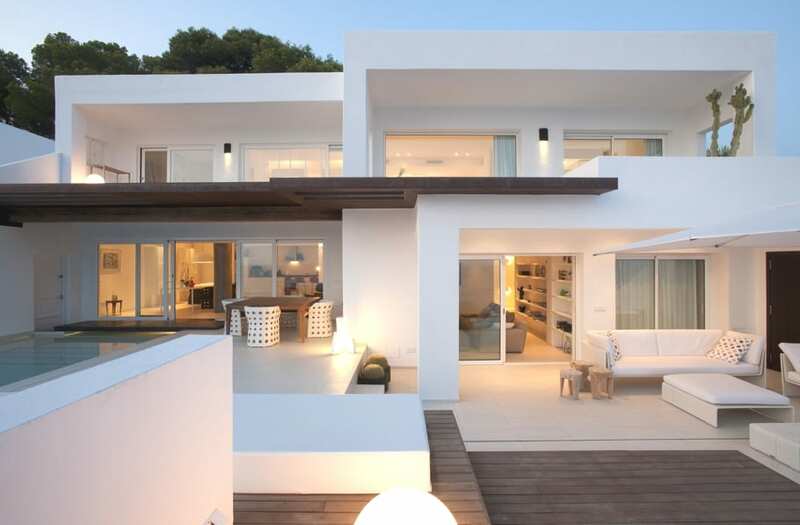 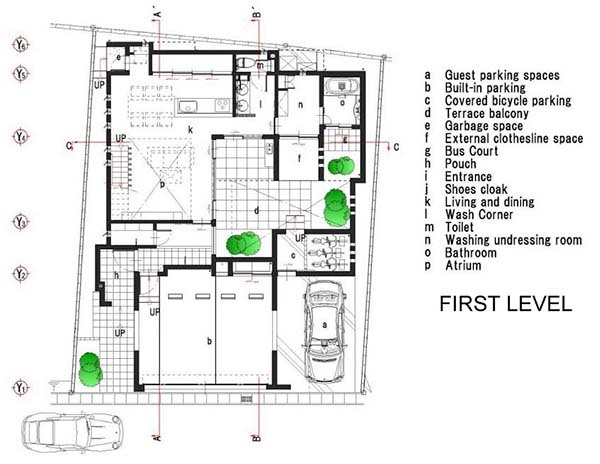 By this design, it also makes architecture, courtyard, family and surrounding environment in harmony with each other.